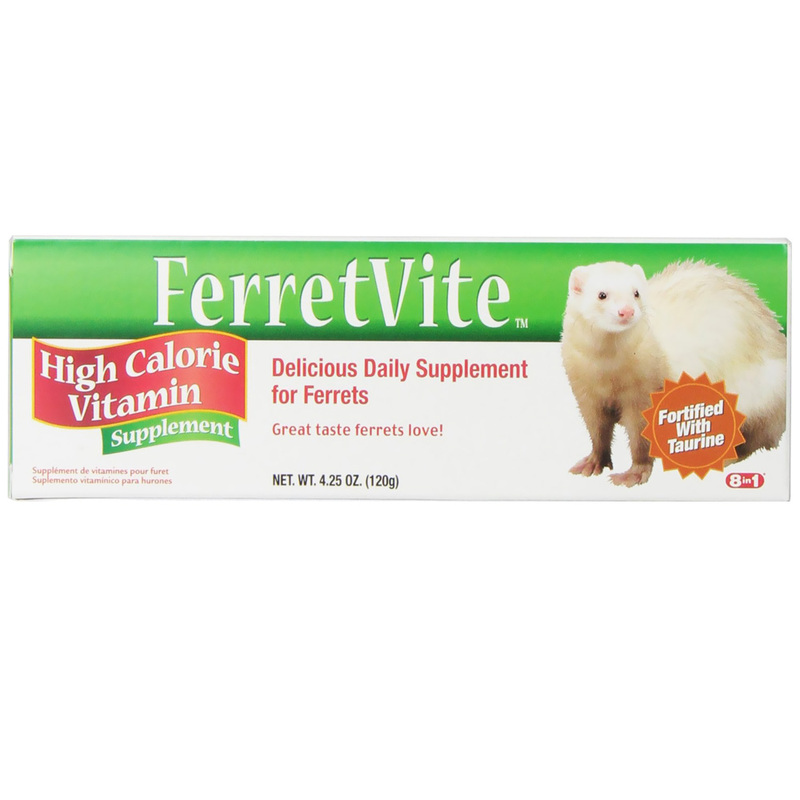 Ferretvite Vitamin Supplement Paste is a high energy daily supplement exclusively for ferrets. Rich in essential fatty acids, and added taurine, Ferretvite ensures a glossy coat and healthy skin. I have had ferrets for over ten years now and have given this supplement to my guys now and then. But it is especially helpful when you have a sick ferret, especially if they do not have an adequate intake of food. ProsEasy to dispense. Ferrets love the taste and readily lap it up.